Websites in the UK need to 'wake up' to new EU legislation on accessing information on user's computers, the Information Commissioner warned this week. 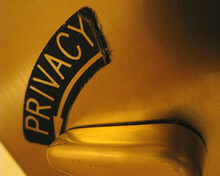 Under the new legislation, which will come into force in May this year in an amendment to the EU's Privacy and Electronic Communications Directive, websites will be required to obtain explicit consent from visitors in order to store on and retrieve usage information from their computers such as cookies, which enable sites to remember users' preferences. According to a statement issued by Commissioner Christopher Graham ahead of a speech on the matter yesterday, the new law will give browsers "more choice and control". "While the roll out of this new law will be a challenge, it will have positive benefits as it will give people more choice and control over what information businesses and other organisations can store on and access from consumers' own computers. "The directive will come into force in less than two months time and businesses and organisations running websites in the UK must wake up to the fact that this is happening. We are proactively working with the government, businesses and the public sector to find a workable solution." While the department for culture, media and sport has been named as the lead in implementing the new measures in the UK, the Information Commissioner's Office (ICO) will be responsible for regulation. Speaking on BBC Radio 4 yesterday, Graham added that the limited time remaining until the directive becomes European law is causing concern. "We wait to see how this is going to be transformed into UK law. What concerns me is that in less than 12 weeks time this Directive becomes European law, but we’re waiting to see the UK regulations. "We’re going to have to have some mechanism for explicit consent, now whether that’s done by browser settings, or individual websites with dialogue boxes that come up to ask you to say yes or no, we don’t have the details. "... I don't speak for the government but they'd be in trouble with the European Commission if they didn't transpose this Directive into UK law in pretty short order. "They've been consulting about it, I think the regulations will appear quite quickly but then we do need a reasonable time for everyone to adapt. Typically you need about three months to get ready, so I would say by the autumn we would expect to see the whole thing up and running." "It has always been quite a contentious issue in Europe. The threshold in the 2002 directive was an opt-out from cookie use, unless the cookie was essential for the delivery of an information service that you had signed up for. "So, for example, it's sufficient if you just adjust your browser settings and one of the criticisms has been that for people who are not necessarily tech savvy, browser setting amendments are quite difficult to do, lots of people don't know how to do it." She added that the directive has been on the European statute book since 2009, but there is still much debate about how it will be implemented. "... There is a debate still to be had about the best way of implementing these new rules. One of the things about browser settings, being talked about by the government, is even if you amend browsers it will only do it for new browsers and lots of people that are running browsers that are 10 years old, browsers that are really small. "If you do it by re-designing browsers so they can very easily and quickly offer you cookie choices it's only going to apply when people buy or download a new browser. There are a lot of questions around that. Equally if you say you've got to have a pop-up on the front page, or an icon, there are so many cookies that people get all the time for all kinds of peripheral things. Just in a behavioural advertising scenario you could get four cookies dropped during the course of someone delivering just a little bit of video." She added that it's likely to "take some work" before a solution is found which will offer appropriate choices to users that are easy to use. Image by rpongsaj on Flickr. Some rights reserved.